Get all management and performance measurements from one system; no need for manual ad market place systems! Get real time reporting of advertising programmatic sales-reports provide a comprehensive analysis of sales data as well as specifics on incremental sale data. 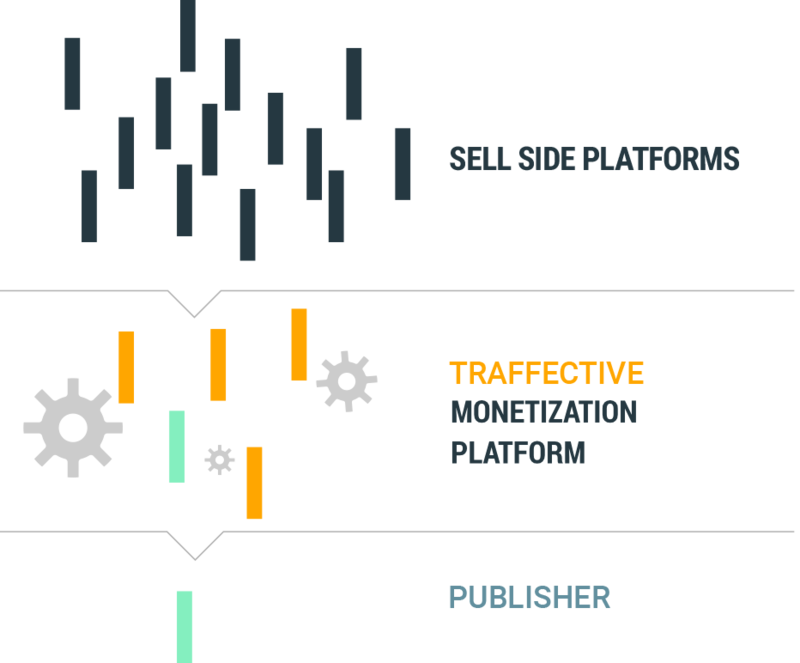 Our service will simplify complex structures in programmatic advertising and increase your digital advertising revenues. As a Google Certified Publishing Partner), we provide the know-how and professional use of all Google Publishing products. We complete this with a Traffective Monetization Platform and various modules.